For those whose major is not related to business, Business Management coursework can be an option as a minor. A minor in Business Management offers a curriculum built on the base of indispensable business disciplines - everything one needs to grasp integral elements of Business Management. Together, the main specialty and a Business Management course make up a set of knowledge and skills that complement each other. It can be applied to a wider range of work and open more doors to job opportunities. The subjects of any business minor curriculum serve as an introduction to the principles of business. On its intersection with management, we find such core blocks of business execution as administrative communication, effective staff organization, and the ability to make big decisions as a leader that a manager is. Further into the business formula, students encounter the very mechanisms and means through which a company works: finance, information systems, accounting, and marketing. Delving into these involves learning about the key elements of coursework for business management, such as management of assets, accounts receivable, strategies and methods of promotion, business applications, and managerial roles. The course provides explication of how finances flow in the business world, including banks, trade on local and global markets, and other kinds of business environments and operations. Students also learn about economic evaluations, investments, and time value of money. The subject involves product management coursework, for marketing is centered around a company’s product and seeks to present, evaluate, advertise, and sell it. To learn the basics of marketing science, students need to understand the principles of market segmentation, consumer psychology, sales management, production and development, strategies and channels of marketing communication. The Accounting course acquaints students with its main concepts of balance sheets and their assets, equities, and liabilities, financial reports, internal control, accounting cycles, as well as principles of product cost and other business activity evaluation. The subject explains the role of a manager in a company’s business and teaches the algorithms of decision upon a right course of actions in their work. 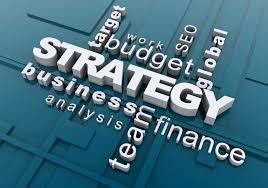 It shows how to differentiate between organizational strategies in various branches of business. Principles of management also introduce students to human resources, with the legal and communicational aspects of this department, and give instructions on team leadership. University or college coursework for project management degree also teaches to plan, control and carry out team projects. Among other principles are management ethics, corporate sustainability, business on the global scale, and business climate of today. Information management coursework analyses the systems that track a company’s activity, store that information, and aim at enhancing success of the company based on the data. Information systems are the main computer-assistants of the manager, but due to their importance and technological nature, management information systems require knowledge of security principles, which also are reviewed through coursework for management information systems. As a major, business management is to be studied thoroughly for four years. In the end, a student receives a bachelor’s degree in the field. The goal is to master the ability to “see” a company, to feel its pulse and maintain the best rhythm for its harmonious work and prosperity, which students can learn not just at classes but also through practical internship. Among the subjects in the curriculum are Financial Accounting, Quantitative Research, Business Statistics, Business Law, Human Resource Management, Principles of Marketing, Marketing Communications, and others. A manager can work within a specific area or be a general supervisor of a whole company. They also can run a business of their own. A bachelor of Business Management may become a management analyst, an international trade specialist, an entrepreneur, a public relations specialist, a fundraiser, a loan officer, among many other positions. According to official estimations in labor statistics, an analyst in the field of finance or management is expected to be in increased demand, up to 15%, in the next five to seven years in the US. For today, average annual earnings of financial analysts are around $85,000, and a manager’s earnings can go up to $125,000 per year, yet the numbers actually depend on the specific field of work. An MBA coursework (for Master of Business Administration degree) goes beyond the bachelor’s program and may be a requirement on certain levels of management jobs. Coursework for MBA deals with the same branches as bachelor programs, but on an advanced level, either specifically or generally. If you are working in business management already, certificates of qualification would serve as extra proofs of your proficiency. Exams that allow eligible managers to get such a certificate are offered by many business associations. To be eligible, you have to keep up with educational standards in the field and have a certain amount of experience. Subjects that are rather important, even though they seem to be secondary, are logistics, business law, business ethics, and psychology of social behavior. These are useful for any type of career in management and its further study. There are plenty of business elements to investigate during coursework in MBA, from finance and sales to direct communication with a consumer, in the fields ranging from general business to particular areas such as international business, innovation management, entrepreneurship, corporate social responsibility, healthcare business, and others. Risk assessment and risk management coursework are crucial for knowing how to balance a company’s business climate by maneuvering through potential financial risks. Aside from this, the Finance course teaches students to make financial comparison reports and understand asset valuation, financial modeling, fixed income, derivative securities, investment, and other subjects. Marketing course offers exploration of such subjects as pricing strategy, international marketing, channels of distribution, strategic brand management, digital marketing, and advertisement among others. The two pillars of economics are macro- and microeconomics, where the former studies economy on the whole, and the latter studies particular functional units of economy, such as separate businesses, buyers, and sellers. The interest of macroeconomics is on things like gross domestic product, foreign exchange and trade, inflation, and employment, while microeconomics concentrates on economic tendencies, supply and demand, production, government intervention, and other concepts. Accounting directly shows the mechanics of financial transactions. The course expounds on financial reporting, taxation, cost classification, budgeting, accounting cycle, and other topics. The core of management is the staff of a company whose work a manager supervises. That is why organizational behavior, which studies interactions between workers and their behavior in work environment is of major importance in management. The course may include subjects and topics such as leadership team effectiveness, employee personality and motivation, algorithms of decision making, organizational theory, conflict management, as well as operations and quality management coursework. Economics, management, and marketing are fundamental for a future business manager. Along with these subjects, coursework in business and management helps students gain knowledge and skills in additional disciplines, such as business ethics and legal theory, that help mold a proper business outlook.